Throughout Scripture, God’s people are called to confront injustice and seek shalom. 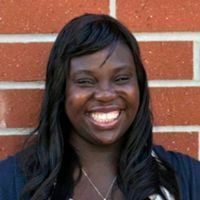 Biola's sociology major equips you for this task by teaching you to research and critically analyze such varied aspects of social life as family, crime, gender, race, ethnicity, religion and values — and then apply this knowledge to real-life issues in a variety of professional settings. The criminology concentration provides students an opportunity to study crime and related issues from a social scientific perspective, infusing themes of social justice and Christian ethics, and recognizing social inequalities present within the criminal justice system. The general sociology track allows you to select from a wide range of upper-division electives, giving you a strong foundation for graduate studies and careers in criminal justice, counseling, politics, research and social work. The social work concentration is organized as a broad preparation for students who desire to enter the helping professions. Why Choose Sociology at Biola? The program offers an excellent training ground for both the practical and theoretical understanding of society, and places great emphasis on teaching you how to apply what you have learned in the classroom. Biola’s location in Southern California — one of the world’s largest and most diverse metropolitan areas — is ideal for internships, research and job opportunities. I have some of the best professors who have real world experience. I enjoy combining my faith and major together to impact the world for Jesus Christ.